The lynch mob we imagine involves a band of white men coming together to work murder on a black person. Atticus Finch faces one down in To Kill a Mockingbird, even if he then goes on to tell his daughter that the mob’s murderous hatred of black men amounts to just a personal eccentricity which should not lower her opinion of them. Certainly history does not lack for examples of whites lynching non-whites, whether that meant blacks or the wide universe of comparatively pale people who nonetheless did not count as white at one point. But lynch mobs also killed people who the mob understood to share a race with them. They might, or might not, get a show trial before a respected member of the community but they ended up just as dead. Southerners had long demanded that the North engage in some form of suppression of antislavery activity. Their constant complaints about abolitionists hang as much on how the North had not run them out of town as anything the abolitionists themselves said or did. Since at least the 1830s, proslavery men had demanded the North censor its mails to keep abolitionist literature away. That asked too much of the North, but Southern postmasters routinely searched the mail and burned material they found offensive. Simple discussion could prompt the same sort of defensive hostility, which further endeared proslavery politics to an otherwise disinterested North. Men who cared not at all about brutal, authoritarian control of blacks far away cared a great deal about slaveholders stomping on their own rights as white men in a free society. The Fugitive Slave Act made that concern especially immediate. This must sound like a hysterical overreaction, but it made good sense to the planter class. They lived deeply integrated lives, with slaves always present. Discussing abolition meant that any nearby slave, like a cherished bodyservant, the maid next door, or one’s childhood playmate could hear and get ideas. Papers and pamphlets discussing abolition lay on tables where slaves could read them, even if the law forbade slave literacy. Slaveholders understood that situation as the equivalent of inciting a riot, something I think most modern Americans would agree does not fall under the umbrella of free speech. 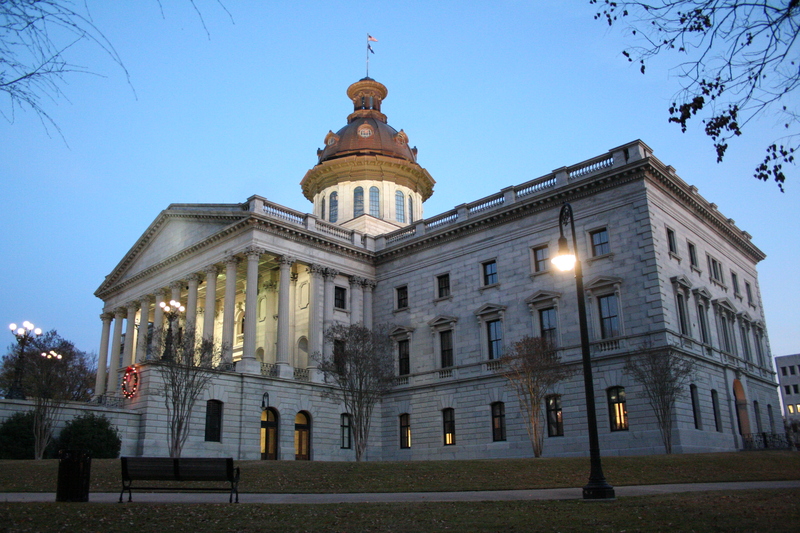 South Carolina’s capitol building, where James Powers worked. The threat of mob violence could keep dissenting Southerners in line. It certainly served to drive the region’s few native antislavery types northward. It also spilled over on plenty of innocents. One such innocent, Irish stonecutter James Powers, worked on South Carolina’s new capitol building in 1859. The Carolinians admired his accent, maybe a bit too much, but had no trouble seeing him as a potential member of their society until John Brown raided Harper’s Ferry. He transformed every outsider in the South into an abolitionist guerrilla. Suddenly men who spoke like Powers did not belong. Someone should do something. Powers got wind of this and fled Columbia. The mob pursued him for nine miles and then hauled him back and threw him in jail. Iron bars did not satisfy the mob, which dragged him out to the packed city square, where they declared Powers worse than a slave and handed slaves the whip to give him twenty-nine lashes. The Carolina mob still wanted more. They let a fire and heated a kettle of tar, forcing the boiling black ooze into his wounds and smearing it across all the skin they had not seen whipped off. They forced him to do a dance and declared that his outside matched his inside. Then someone got the feathers and doused Powers with those as well. Then, finally, they promised his head would roll if he ever returned to Columbia before throwing him on a train to Charleston. A mob in Charleston met his train and hauled Powers off to jail, where they returned often to threaten. They dragged him out again, pushing and shoving him through the crowd at last to another train, which finally took him to New York. Powers’ made it out alive, as did many others, but the South lynched three hundred whites in the thirty years before 1860. It made for a strong message: Do not cross us; do not challenge our institutions, or you’ll leave town whipped, tarred, and on a train or in a box. 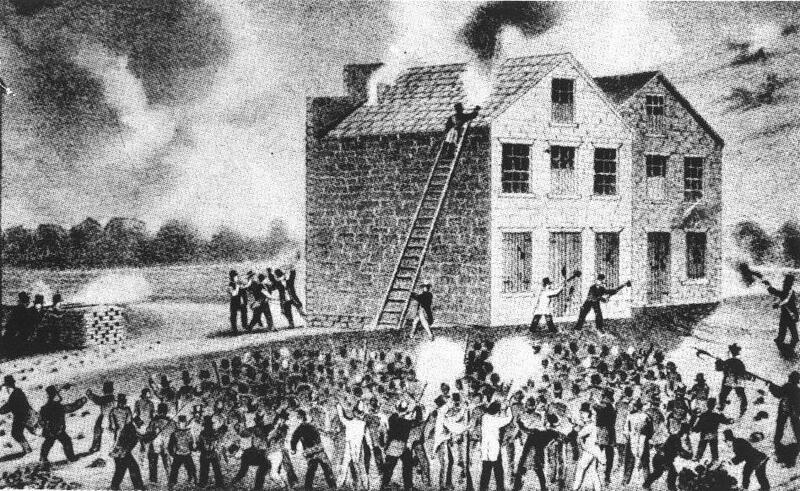 The Alton Mob attacking abolitionist Elijah Lovejoy’s warehouse. I think I have said all that I want to about Lincoln’s views on mob violence. Though written long ago, the concerns he raises still hold. The man who shot Trayvon Martin did not do it as a part of a mob, but an individual conducting freelance violence differs from a mob doing so only in size. He must have imagined himself in some capacity as an agent of the law, but in doing so he subverted it, denied Trayvon its safeguards, and because of the way Florida law bakes Stand Your Ground into its definition of self-defense and mandatory jury instructions, he got away with murder. The presumption of innocence means that the justice system will regularly release some portion of truly guilty people. We pay that cost for protecting the rights of everyone else, though the Stand Your Ground laws in Florida and elsewhere go beyond that into an enthusiastic endorsement of freelance murder. If you feel threatened, these laws say you no longer have any responsibility to retreat, to defuse the situation, or even use the least amount of force. Rather they authorize and encourage you to draw and shoot to kill at first provocation, because if you leave a witness alive you might get convicted. They would make mobs of us all. This kind of violence has a long history in the United States, which I have already touched upon. It has, regrettably, not yet left us in any section of the nation. To some degree, one must expect it when civil institutions and legal law enforcement stretch thin on the ground. I don’t say that to defend vigilante violence, by individuals or mobs, as a desirable development, only that it arises from particular circumstances. Periods of civil anarchy and heightened tensions, usually over race, can bring it out anywhere. At some points in American history, vigilantism formed a normal, ordinary part of the social order. The men who posed with their victims after a lynching must have understood themselves as acting in a legitimate role as agents of public safety, for certain sorts of people. William W. Freehling writes extensively in The Road to Disunion: Secessionists at Bay 1776-1854 on the use of mob violence in the antebellum South. There it served two indispensable roles: mastering slaves to keep them in slavery and mastering whites to maintain their support for slavery. I’ve written before about the first function, which the South enshrined in law in the slave codes and, at times, enforced on the ground with slave patrols. Many Southerners saw that as such an elemental, basic part of the imperative to manage black people that they demanded the North take up the slave patrol as well. The second I have only touched upon and intend to develop over the next few posts. Commoners relished the master as charismatic egalitarian. It felt ever so good to be treated as The Man’s equal; and in a black-belt neighborhood, non-slaveholders had little economic reason to attack slavery. Rich and poor grew the same crops for the same market. They utilized the same merchant,whether they shipped little or much. Nonslaveholders sold slaveholders extra grain. Slaveholders ginned nonslaveholders’ cotton. Landowners rented landless tenants a few acres. Planters advanced poorer folk a few dollars. Folks were so materialistically intermeshed as to make, at least economically, for one folk neighborhood. The term “folk,” denoting blood relations, was accurate. Nonrelatives in tiny clusters of folk not only cared about each other in the manner of relatives but were often somehow related. Marriage between cousins was ubiquitous. When mothers survived almost yearly childbirths, families were huge. When mothers succumbed, fathers selected a new bride-who produced huge families or succumbed in turn. Between first cousins and second cousins and stepcousins and cousins of stepcousins, a planter had hundreds of relations. Family interconnections so extensive, inside locales of rural intimates so small, created a norm of treating neighbors as if they were, well, folks. Scholars have a useful label for (white) folks’ political ideal: herrenvolk democracy. Neighborhoods of white folk, committed to treating each other as equals, were equally committed to keeping black folks unequal. The herrenvolk southern neighborhood may have been more passionate about white egalitarianism than the northern. Black-belt whites had before their eyes the essence of deviation from independent equality: black slaves. The small communities Freehling talks about formed great swaths of the extremely rural, South. Places named Spotsylvania and Appomattox Court House are legacies of that limited urban development: they got the names because the named building, a jail, and a few other buildings could constitute the only town or village in the county. But what happened when those tight networks of kinship, economics, and racial identity frayed, or simply could not reach everyone? In the white belts, in the larger towns, nearer the North, or where just many outsiders mixed the informal networks that kept all whites together in the name of keeping all blacks subjugated had to find other ways to maintain themselves. As they already used violence and the threat of violence to terrorize black people into submission, and Southern policing often amounted to not much more than the local slave patrol with its vigilante remit to begin with, doing the same sorts of things to dangerously nonconformist whites must have seemed very reasonable. After all, they sought to bring decent white folk down to the level of slaves. If they wanted that so much, why not give it to them? I don’t mean to say that every white man got together at the county seat and spelled these things out. This system of social control rises out of culture and we all learn out culture as children. We, the People, do things this way and not that way. We treat others this way, outsiders this other way. We imbibe our folkways long before we have the tools to critically examine them, and that can challenge us even in far more cosmopolitan times. I, and I imagine most readers, find the system I’ve described simply horrific. In other eras, if we grew up learning it at our parents’ knees, we might think very differently indeed. Given how these things work, most of us would probably see all the previous as naturally as we today see voting for the president or shopping at the supermarket. Most of us believe much the same things as our parents did, after all. A few would not, but cultures do not long endure when the vast majority of their members reject them. They inevitably then change or perish. The Antebellum South built up a durable, if not invulnerable, social and political culture around slavery. It sustained itself through diverse means, including and especially violence, and showed no signs of collapse as late as 1860. I left off with Lincoln at the Young Men’s Lyceum in Springfield, citing examples of putting passions ahead of the law. From that one can take that mob violence should not be celebrated or welcome. That may seem like a very obvious conclusion, but it has long eluded parts of the American public, who saw fit to proudly commemorate their lynch mobs by posing with the victim for photos and postcards, or by making excuses after the fact that rarely stop short of declaring that the victims really had it coming. I’ve read and heard quite a bit too much of that about Trayvon Martin, as if his murderer recognized him, went down to the courthouse and checked his records, then calmly came back to shoot him dead. To that we may add that they also affirm that, at worst, fairly minor crimes deserve execution. The cause could be anything, really: smiling at the wrong person, just being visibly different, speaking out against injustices ones neighbors preferred to preserve. When men take it in the heads to day, to hang gamblers, or burn murderers, they could recollect, that, in the confusion usually attending such transactions, they will be as likely to hang or burn some one who is neither a gambler nor a murderer as one who is; and that, acting upon the example they set, the mob of to-morrow, may, and probably will, hang or burn some of them by the very same mistake. And not only so; the innocent, those who have ever set their faces against violations of law in every shape, alike with the guilty, fall victims to the ravages of mob law; and thus it goes on, step by step, till all the walls erected for the defense of the persons and property of individuals, are trodden down, and disregarded. I have known far too many people convinced that no one would ever mistake them for a guilty party who thus take a profound disinterest in protections for the accused. American law enforcement and the courts have given people, especially people of darker skin, ample cause to distrust them, but they still beat the alternative. However flawed, all the vaunted safeguards of the American system of justice play out therein and abuses and errors at least have the potential for correction on appeal. Try to convince a mob of your right to due process. By such examples, by instances of the perpetrators of such acts going unpunished, the lawless in spirit, are encouraged to become lawless in practice; and having been used to no restraint, but dread of punishment, they thus become, absolutely unrestrained.–Having ever regarded Government as their deadliest bane, they make a jubilee of the suspension of its operations; and pray for nothing so much, as its total annihilation. While, on the other hand, good men, men who love tranquility, who desire to abide by the laws, and enjoy their benefits, who would gladly spill their blood in the defense of their country; seeing their property destroyed; their families insulted, and their lives endangered; their persons injured; and seeing nothing in prospect that forebodes a change for the better; become tired of, and disgusted with, a Government that offers them no protection; and are not much averse to a change in which they imagine they have nothing to lose. Thus, then, by the operation of this mobocractic spirit, which all must admit, is now abroad in the land, the strongest bulwark of any Government, and particularly of those constituted like ours, may effectually be broken down and destroyed–I mean the attachment of the People. Whenever this effect shall be produced among us; whenever the vicious portion of population shall be permitted to gather in bands of hundreds and thousands, and burn churches, ravage and rob provision-stores, throw printing presses into rivers, shoot editors, and hang and burn obnoxious persons at pleasure, and with impunity; depend on it, this Government cannot last. One of the more valuable civics lessons I got in school came from essentially the first time the subject came up. Amid a very patriotism-soaked lesson, my sixth grade teacher pointed out that in the United States the government did not just declare that certain rights existed, but also took affirmative steps to ensure they existed in fact as well as on paper. With twenty years of additional education I can point out many problems with that statement, including the implication that only the US does so, but the essential fact remains that rights written on paper but not observed in practice are not enshrined, but rather entombed. The constitutions of the Soviet Union came up as the obvious example of the day, even if that state only had months when she gave us. And why would anybody, knowing the society has declared open season on them and that they have no rights it will respect, care to defend it? Lincoln speaks here as a radical and a conservative simultaneously. The conservative aristocrat, a common enough figure in Whig circles, asks how sacred tradition can survive popular attacks upon it, but the radical in him looks from the position of the downtrodden and asks why they would want to support such a society. In that Lincoln anticipates the very sort of man he would probably have seen as a very dangerous radical indeed, Frederick Douglass. Lincoln did not have to pull violence out of his imagination to call it a threat to American institutions. By modern standards, the nineteenth century looks so violent one has to wonder how anybody could sleep at night. Even aside the wars, habitual violence played a tremendous role in everyday life. The nation did not see Andrew Jackson as a pariah for his duels, but rather largely took him as a homespun workingman’s hero. Thomas Hart Benton’s political career had barely begun, and certainly did not end, when he put a bullet in Old Hickory and broke his sword. He simply moved to Missouri where he shot a man dead. St. Louis mobs destroyed Abolitionist Elijah Lovejoy’s printing press, so he moved across the Mississippi to Alton, Illinois. Settled by southerners and a center of slave catching activity, Alton enjoyed Lovejoy’s antislavery politics so much that it formed a mob which killed him on the way to destroying his most recent printing press. Even men at the heights of power, in no less rarefied air than that of the Senate chamber, could draw pistols on one another. Lincoln could have added Nat Turner’s revolt. Turner’s band massacred around sixty men, women, and children, essentially any white person they came across. In retaliation white militias and mobs, sometimes not all that distinct from one another, descended on the county and claimed as many as two hundred black lives. The vast majority of those people committed only the crime of living while black. These lynchings, and many others, occur too often to take as some kind of exception. The lynchings and the terror campaigns that produced them belong as much in the heart of the American story as slavery. However horrible, this kind of violence and the threat of it formed an integral part of the American social order for much of the nation’s history. One might imagine a finger pointed southward in reading that. I know I did when writing it. But violence, racially-charged or otherwise, took place all over the country. It still does, if not to the horrific extent that it once did. Years ago a friend directed me to a collection of lynching photos online. They make for hard viewing, but the first in the collection comes from Yreka, California. One cannot get much further north than Duluth, Minnesota. The images tell at least two stories. First they tell us that the lynching happened. The second story challenges us more. In some photographs the mob posed with their work, entirely unashamed and unafraid. Some appear to be smiling. They tell us that they did the deed and are proud of it. They want others to see them as men capable of breaking into jails to drag out the accused and do murder, the sort who will douse someone in tar or oil and burn them alive. One does not trifle with them…or with the community that supports them. They thought of themselves good, upstanding, moral men. Their communities largely agreed. Some of the photographs in the collection are postcards. This too is a part of us. A friend brought this New Yorker post to my attention a few days ago. I think Douglas securing White House support to take his new bill to the Senate makes for a good break point in the narrative, so here I am. Over at the New Yorker, Adam Gropnik finds a common historical thread linking Lincoln’s first public speech and the disgust and horror many in the American left, myself included, feel toward Stand Your Ground laws and what we consider their inevitable, perhaps even intended, outcome in the murder of Trayvon Martin. Journalism does not lack for pieces making those kinds of links, many of them reaching a bit too far or even getting matters entirely wrong so I wanted to look in a bit more detail instead of just taking Gropnik at his word. I don’t mean that as a slight against him; I simply never heard of him before my friend pointed me in his direction. 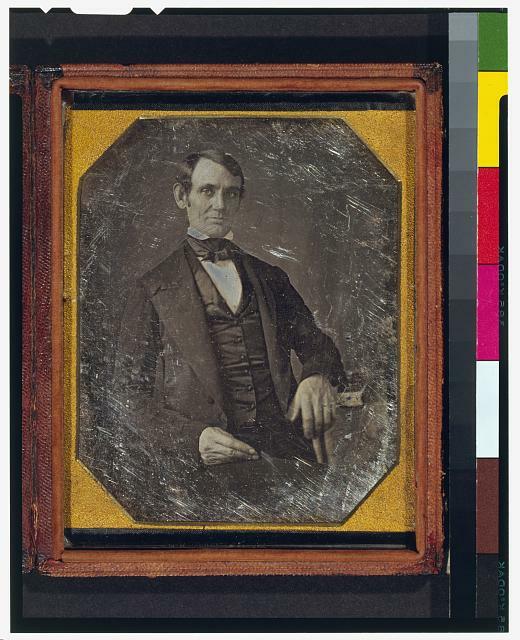 I dug up a copy of Lincoln’s speech and an introduction to it (link goes to a PDF) by Thomas F. Schwartz, curator of the Lincoln Collection. Schwartz casts Lincoln’s first speech as his way of proving himself as an up and coming Springfield professional by demonstrating his learning and oratorical skill. The future president only arrived in town on April 15, 1837 and delivered his speech the following January. He chose what he must have imagined a very innocuous topic, the perpetuation of American political institutions. With 1776 and 1789 in living memory, the youth of the nation often occupied the public mind. Could this ramshackle, rickety constitutional structure really endure? We find ourselves in the peaceful possession, of the fairest portion of the earth, as regards extent of territory, fertility of soil, and salubrity of climate. We find ourselves under the government of a system of political institutions, conducing more essentially to the ends of civil and religious liberty, than any of which the history of former times tells us. We, when mounting the stage of existence, found ourselves the legal inheritors of these fundamental blessings. We toiled not in the acquirement or establishment of them — They are a legacy bequeathed to us, by a once hardy, brave, and patriotic, but now lamented and departed race of ancestors. Shall we expect some transatlantic military giant, to step the Ocean, and crush us at a blow? Never! — All the armies of Europe, Asia, and Africa combined, with all the treasure of the earth (our own excepted) in their military chest; with a Buonaparte for a commander, could not by force, take a drink from the Ohio or make a track on the Blue Ridge, in a trial of a thousand years. The United States kept a very small army and navy at the time. It picked one fight with a European power and lost badly in 1812. But such a vast, largely undeveloped, territory would challenge nineteenth century logistics. Significantly, Lincoln doesn’t speak of keeping Boston, New York, or Washington from foreign armies. He puts his secure landmarks well inland. Nobody could conquer such a place. Popular opinion in Europe saw the Union cause as hopeless on just those grounds a few decades later. Napoleon could go into Russia, but only to starve his men and return defeated. The same travails would face any foreign foe. Read that line and think ahead to the 1860s. Throw in the 1960s too. It would also do to remember the frequent, if erratic, violence involved in keeping slaves in their places. To the slaves, that had to have felt something like a campaign of terrorism. Their owners intended as much. I hope I am over wary; but if I am not, there is, even now, something of ill-omen amongst us. I mean the increasing disregard for law which pervades the country; the growing disposition to substitute the wild and furious passions, in lieu of the sober judgment of Courts; and the worse than savage mobs, for the executive ministers of justice. This disposition is awfully fearful in any community; and that it now exists in ours, though grating to our feelings to admit, it would be a violation of truth and an insult to our intelligence, to deny. 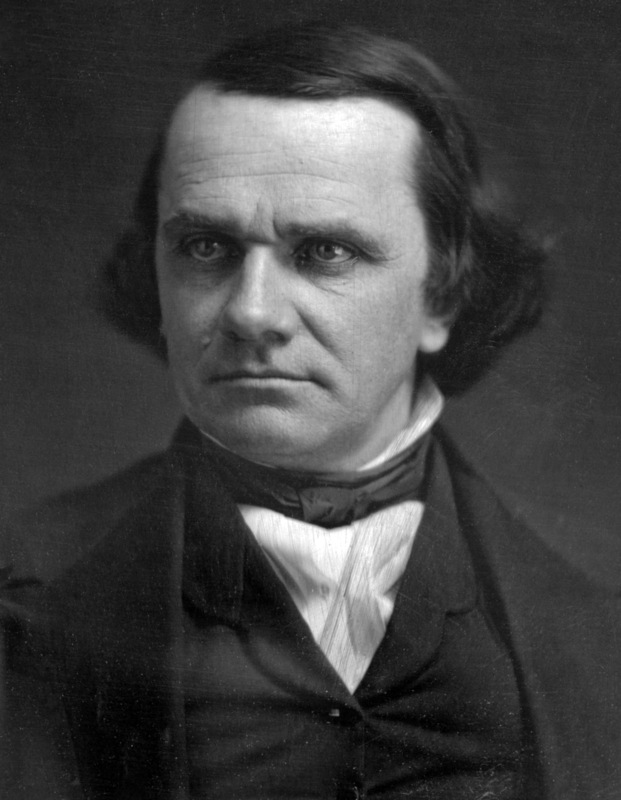 Stephen Douglas began the week of January 16, 1854 convinced he had a bill that would pass the Senate and open Nebraska to white settlement. Phillip Phillips and Archibald Dixon promptly told him that he did not. But Douglas made concessions that turned his more modest, ambiguous stand on slavery into a deeply radical repeal of the Missouri Compromise. Three decades hallowed that settlement’s ban on slavery in the great majority of the Louisiana Purchase outside Missouri and north of its southern border. Again and again conservatives sought to resolve sectional strife over slavery simply by extending its provisions. Douglas allowed the machinations of southern proslavery politics to draw him from the safe ground into wild new frontiers of radicalism. But Douglas made his peace with the radicals and by that weekend had a new version of his bill ready to deliver to the Senate. That did not mean that everything smelled of roses, though. Douglas had done his capitulating in secret. He and F Street worked in the classic smoke-filled backroom model of politics. 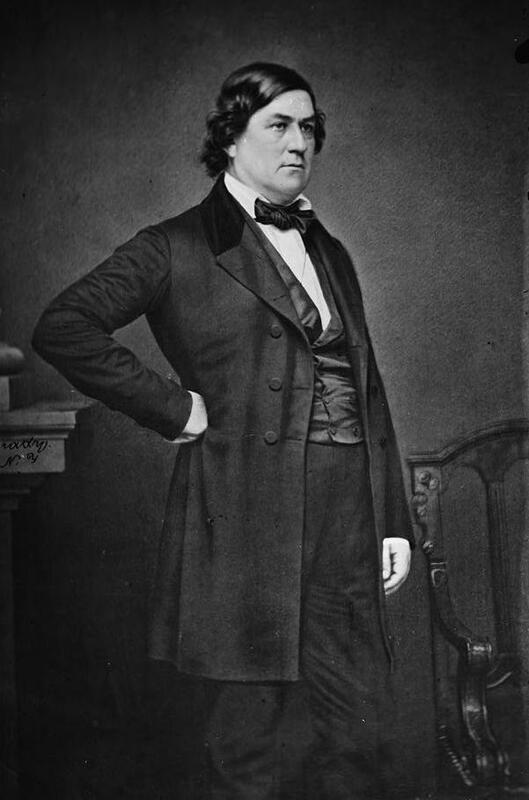 Though the bill would implement popular sovereignty, the concept’s originator and Douglas’ friend, Northwestern power Lewis Cass, had nothing to do with it. As late as that Friday the Washington Union, a Democratic party organ, published attacks on Dixon’s amendment and the general principle of repealing the Missouri Compromise. In the White House, Cass joined most of Pierce’s Cabinet in opposing the bill. 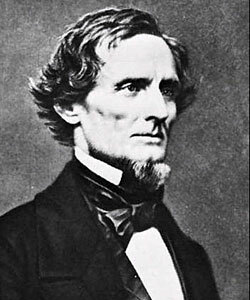 Jefferson Davis, Secretary of War, and James Dobbin, Secretary of the Navy, stood for the repeal but the rest of the Cabinet aligned closer to old hands like Cass and Secretary of State James Marcy. The fog of history, as with the filibusters and James Gadsden’s commission, obscures what actually happened and raises doubts about who actually made the final decisions in the Pierce administration but it appears they wrote and handed over to Douglas an alternative measure that would toss the decision on whether the Missouri Compromise could stand to the Supreme Court and omit any particulars about when popular sovereignty might occur. That ambiguity worked for the Armistice, after all. Douglas took the proposal to F Street, where Atchison, Hunter, and Mason rejected it. Douglas and the F Streeters knew that such a radical bill invited a firestorm. If Pierce remained against it they might have a harder time with the Democratic caucus, even with the F Street patriarchs twisting arms. The President might even veto the bill. Once they decided late Saturday night that they would go ahead, they needed the White House on their side. They also laid down the law for the Union, which published an endorsement of the repeal in its Sunday edition. The next day they set out to secure that support. Pierce disliked doing business on Sundays, even postponing taking his oath of office for a day to avoid it. He might simply turn away a gaggle of senators, so they reached out to Jefferson Davis. Douglas picked up Atchison and they went together with Mason, Hunter, John C. Breckinridge, and Phillips to the White House. Davis went on and convinced Pierce to see them. He first met with Douglas and Atchison, then all the rest joined in. Pierce, probably with considerable reluctance but not much less beholden to F Street than Douglas, agreed to support the repeal. Douglas even made him put it in writing. Aside from Davis, he had none of his usual advisers on hand. Pierce demanded, however, that they consult with Secretary Marcy before going ahead. The party happily agreed, found Marcy not at home, and decided they had done their due diligence. The next day, Monday the 23rd, they put the matter before the Senate. Douglas’ boundaries still presented a few problems. His proposal to extend Missouri’s southern border westward would divide lands in Indian Territory (modern Oklahoma) reserved to the Cherokee. Sam Houston, who went west from Tennessee with the Cherokee and lived among them from 1829 to 1833, objected to that back in March when Douglas tried to get his bill through in the final day of the 32nd Congress. The objection still stood and to resolve it Washington briefly contemplated splitting Nebraska into three territories. One would run below the Missouri Compromise line and surely be for slavery. This provoked the usual objections in the North, and from those concerned about ejecting the Indians twice in barely a generation, and Douglas took the path of least resistance there, moving the southern boundary of Nebraska north so it ran between reservations. The other division in Nebraska centered on the two illegal settlements, one of Iowans opposite Council Bluffs and one of Missourians around Fort Leavenworth. Practicality and politics intersected here. The transplanted Iowans hopped the Missouri river to live in free soil West Iowa, not slave West Missouri. Placing them under the more numerous Missourians would come dangerously close to forcing slavery on people who did not want it. 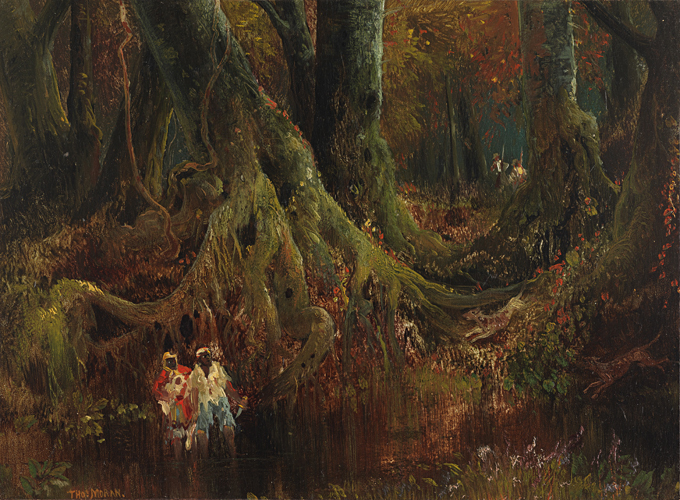 Likewise, the great distances meant that their settlements could easily turn into a forgotten backwater. The Iowans also suspected that the treaties extinguishing Indian title to Nebraska land skewed heavily southward, freeing up much land west of Missouri and little west of Iowa. Furthermore, the more populated land in the southern section of the territory would draw potential railroads there instead of through the Platte Valley. 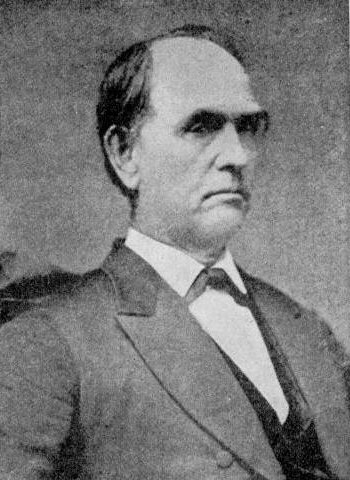 Through their illegal delegate, the Iowans convinced Iowa’s Augustus Caesar Dodge to take up their cause and he persuaded Douglas. Instead of one Nebraska, or three, Douglas revised his bill to create two. The more northerly one retained the original name and the southern portion took the name Kansas. Douglas did not say so much, but nearly everyone took the implication from division that Nebraska would come into the Union free and Kansas enslaved. It fit the pattern of past divisions and restored to Douglas some of the ambiguity he lost to Dixon, Phillips, and F Street. While the law voided the Missouri Compromise on paper, the facts on the ground would only change the practical outcome slightly by reserving Kansas to slavery. What would the Slave Power demand thereafter? A slave state north of Nebraska, surrounded by freedom on all sides? Not likely. With the territory split and an amendment on slavery written by Phillip Phillips and approved by F Street, Douglas again had what he thought he had at the beginning of the week of January 16, 1854: a bill that could pass the Senate. In the middle of January, 1854, Illinois’ Stephen Douglas stood on the edge of realizing his dream of a decade: organizing and opening the Indian country west of Iowa and Missouri to white settlement as the Territory of Nebraska. White settlers would flood in to fulfill the national and their racial destiny, largely the same thing to white nineteenth century Americans, by filling the continent. Their settlement would naturally facilitate the building of the Pacific railroad the Little Giant had wanted just as long. Even if the Congress could not agree on particulars, having a territorial government to survey the land and white settlers rushing in would give the railroad movement one less obstacle and one more reason to declare their great work both inevitable and necessary. 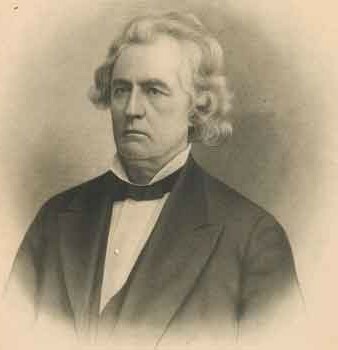 Douglas had neutralized the Senate’s powerful proslavery bloc, led by Missouri’s David Rice Atchison, with considerable concessions. Douglas’ victory for his race would also revitalize the Democratic party in the North, where it largely bore the cross of the Armistice measures. It would boost his stock, already high, as a national politician with dreams of the White House. It would quite likely personally enrich him. The stars aligned in the Little Giant’s favor, then abruptly reversed direction. Alabama’s Phillip Phillips ran to F Street to tell his fellow Democrats Douglas did not give them enough. Douglas wrangled in private with Phillips and F Street. In public, Kentucky Whig Archibald Dixon blindsided Douglas with a more radical still amendment to wipe out all the Missouri Compromise ban on slavery. Dixon went further, not just annulling the ban in the territory roughly west of Iowa and Missouri, but reaching all the way up to Canada and at least by implication overruling the ban in the Minnesota, Oregon, and Washington Territories. Dixon asked too much of Douglas on January 16. His amendment went past removing a ban on slavery, effectively legalizing it until the territory sought statehood. Already Douglas heard rumblings in the North about what he proposed, and now Dixon had the South at his back and came demanding more. By God, sir, you are right, and I will incorporate it in my bill, though I know it will raise a hell of a storm. On Thursday, Douglas reached out to Phillips. They tasked him with drafting an amendment to end the Missouri Compromise, begging him to do it in the least explosive way. When he had a draft, Douglas told him to run it by F Street for final approval. That came on Friday, when the F Streeters convened in the smoke-filled back room of the Patent Office. Phillips’ amendment left the Missouri Compromise not quite absolutely repealed, but inoperative in the future Kansas and Nebraska. Minnesota, Missouri Compromise land, could retain its slavery ban. So could distant Oregon and Washington, which Dixon might have enslaved. Representative Phillip Phillips, a Democrat from Alabama, went to F Street to voice his objections to Stephen Douglas’ not quite complete repeal of the Missouri Compromise ban on slavery in the future Nebraska Territory. He spoke with Robert Hunter of Virginia, David Rice Atchison’s F Street housemate. Hunter in turn went to Atchison, who arranged a meeting with Douglas. That did not make Phillips any less opposed to Douglas’ soft repeal, but the men shared a party and he opted to work inside the party system to get what he wanted. Over in the Senate, Kentucky Whig Archibald Dixon had no such scruples. Quite the opposite, he wanted fireworks to help prove to the South that Whiggery could be as safe for slavery as the Democracy. A discreet meeting that secured his objectives behind closed doors would not make for much of a campaign speech. The night of January 15, 1854, Dixon told his wife to fetch pen and paper and take dictation. Dixon would beat the Southern Democracy at its own game, exceeding F Street’s ambitions and daring them to go against him. Then he and his embattled fellow Whigs could go home with such a remarkable proslavery triumph that their disgruntled constituents would flock back to their banner. Sec. 22. And be it further enacted, That so much of the 8th section of an act approved March 6, 1820, entitled “An act to authorize the people of the Missouri Territory to form a constitution and State government, and for the admission of such State into the Union on an equal footing with the original States, and to prohibit slavery in certain Territories” as declares “That in all that territory ceded by France to the United States, under the name of Louisiana, which lies north of 36 degrees 30 minutes north latitude, slavery and involuntary servitude, otherwise than in the punishment of crimes whereof the parties shall have been duly convicted, shall be forever prohibited,” shall not be so construed as to apply to the Territory contemplated by this act, or to any other Territory of the United states; but that the citizens of the several States or Territories shall be at liberty to take and hold their slaves within any of the Territories of the United States, or of the states to be formed therefrom, as if the said act, entitled as aforesaid, and approved as aforesaid, had never been passed. That bears a little unpacking. Essentially the amendment says that the Missouri Compromise ban on slavery is null and void not just in the future Kansas and Nebraska, but in the whole of the Louisiana purchase land from the northern border of modern Oklahoma all the way north to Canada and west to the Rockies, except for the portions of it already organized as free states. Then Dixon went one further and stretched the repeal everywhere a state government did not already exist, if a bit more ambiguously. That could leave slaveholders free to take their human property into the free soil of Oregon Territory, Washington Territory, and Minnesota Territory just as much as it permitted them to take slaves and slavery across the Missouri River. 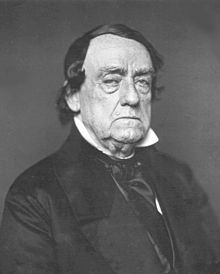 John C. Breckinridge, then in the House but later a Vice-President, Senator, and the Lower South’s choice for President in 1860, wondered why no one had thought of such a thing before. His fellow Southern Democrats realized the danger if the Whigs really could pull off this kind of proslavery triumph. What could they dot, stand against it and let the Whigs do to them what they had done to the Whigs? No one wanted to go back to sharing much of the South instead of dominating it and might, if the Whigs could press the advantage, end up all but dead in the section. The proslavery caucus made the best they could of it by flocking to support the Dixon amendment. Clerical errors would satisfy them no longer. David Rice Atchison and the F Street Mess let Stephen Douglas partially off the hook. He didn’t get away with selling them an empty promise, but they would pretend along with him that they repealed the Missouri Compromise and let slavery into the Nebraska territory back in 1850. That gave Missouri slaveholders an opening to rush in, throw together a quick vote to institute slavery, and steal Nebraska away from the free soil hordes threatening to encircle the state. 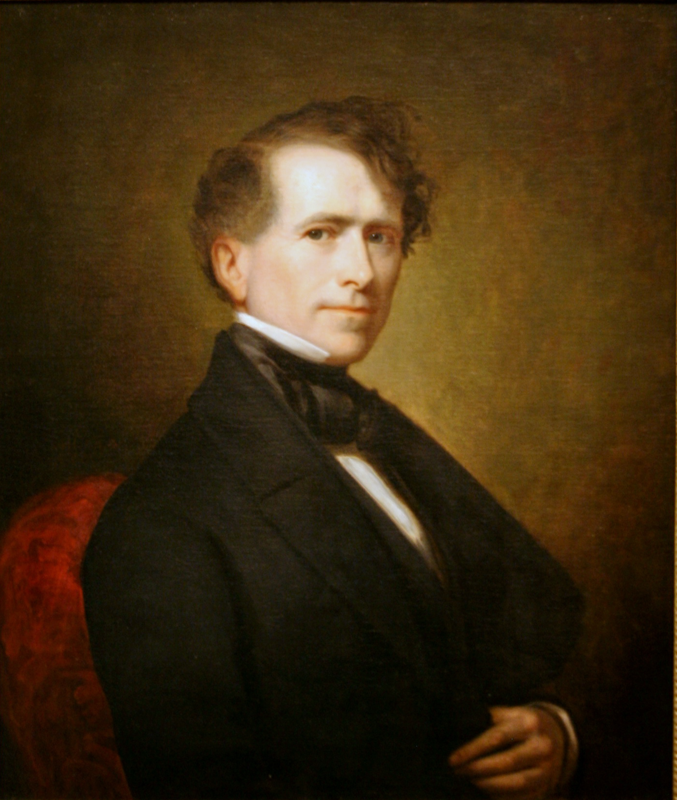 With F Street appeased, and victory so near less than a year before on far less congenial grounds, Douglas had to imagine the bill would sail through the Senate and House and arrive safely on Franklin Pierce’s desk for the expected signature. The Little Giant had the far right Senate patriarchs on his side. A few far left abolitionists could not kill the bill and most of the more moderate left wanted the railroad that it would facilitate. The North would howl a bit, but if it got over the Fugitive Slave Act then it could get over this. But Douglas’ bill irritated others. Leaving the Missouri Compromise in place, if only on a technicality, sounded too much like leaving Mexican abolition in place in the Southwest. That technical, theoretical concession could swiftly turn into a real loss as it had with California. The Democrats’ Washington Sentinel, official printer for the Senate at a time when the job came with very lucrative patronage and thus went to party loyalists careful to keep with current orthodoxies, sounded the alarm on January 14. This new attack from the proslavery right came not from extremists, but more moderate Southerners less sanguine about the potential of a small group of slaveholders to filibuster and claim jump their way across the great plains. Phillip Phillips (D-AL), rose in the House to make that point and lobbied F Street for a full repeal of the Missouri Compromise. 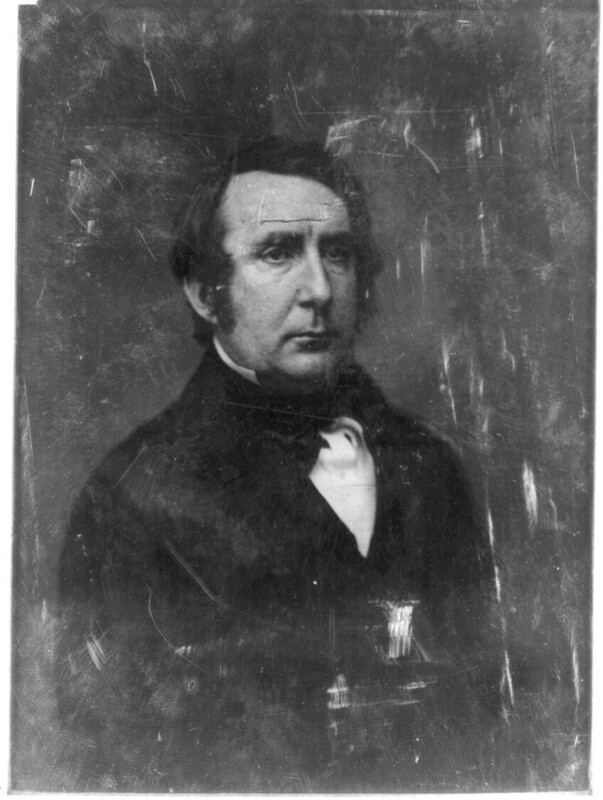 The occupant of Henry Clay’s old seat, Kentucky’s Archibald Dixon, rose in the Senate on the same grounds. Far from a fire-eater, Dixon represented a species already endangered in 1854: the Southern Whig. The Texas and the Armistice had proved the Democracy far safer for slavery than Whiggery. Dixon wanted to get out ahead of the Democrats and revitalize his party while, of course, also securing his own political future. He argued that Clay’s first great compromise had laid an albatross on the nation by establishing the precedent for Congress deciding on slavery in the territories. The Armistice reversed that to the Union’s benefit and Dixon would go one step further and so banish slavery from the national discourse forever. The old order could come again. In all of that, Dixon sat firmly in the tradition of nationally minded conservatives. Since the nation’s founding they preferred to defer solutions to a future generation and sweep unavoidable tensions under the rug. Men from Thomas Jefferson on down to Benton, Zachary Taylor, and Douglas himself had tried much the same but each compromise only provoked the backlash it aimed to avoid. Seward claimed, rather implausibly, after the fact that he put Dixon up to it in hopes of maneuvering the Democrats into damaging proslavery extremism and so provoking a potent pro-Compromise backlash. After going in a year from accepting the compromise of a generation to demanding its previously unthinkable overthrow, they hardly needed his help. In earlier times, a Northern Whig of Seward’s stature might have gone the other way and dumped enough cold water on Dixon to save at least a scrap of the Missouri Compromise. A decade of anti-slavery politics had both alienated the two halves of Whiggery and made the Southern half too vulnerable for its Northern twin to moderate it any longer. Even if he wanted to, Seward couldn’t have restrained Dixon.